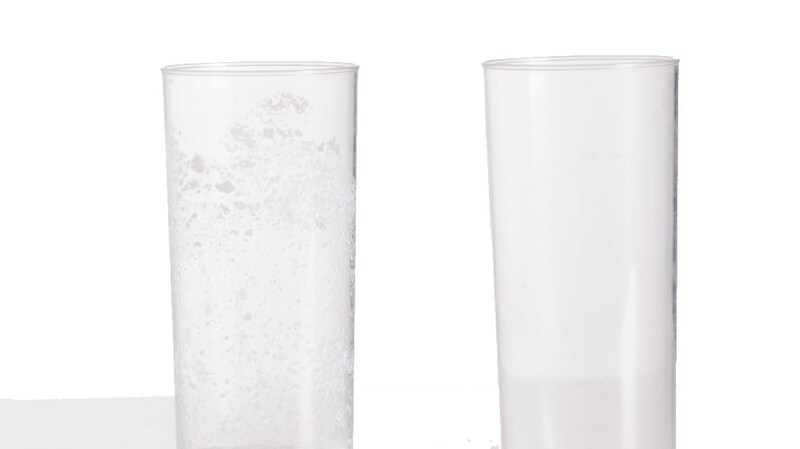 Why not have a go at making one of the first plastics ever made – using milk and vinegar! Heat a pint of milk until it’s hot but not boiling. Add a tablespoonful of vinegar. Stir it and you will see lots of bits in it. These are protein strands which have tangled together. Pour the milk through a piece of kitchen roll in a filter funnel or sieve. Throw the liquid away. Pack the solid in the filter paper into a mould or roll it into a ball and leave to dry. This plastic is called Casein and is one of the first plastics ever made. The protein molecules in milk fold up in a ball. Adding acid unfolds the molecules and then they tangle together. This is called denaturing or curdling. This is the first process in digesting protein and one reason why you have acid in your stomach.